Product prices and availability are accurate as of 2019-04-23 19:32:30 UTC and are subject to change. Any price and availability information displayed on http://www.amazon.com/ at the time of purchase will apply to the purchase of this product. 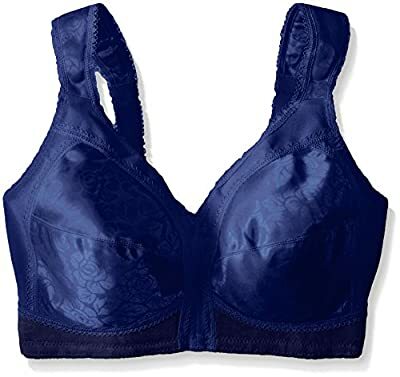 Full-coverage bra with lace detailing featuring padded cushion straps and floral-patterned cups Exclusive Spanette fabric for support and comfort hook-and-eye closures at back Molded two-section cups give you gorgeous natural shaping.